Taiwan Retrocession Day is an annual observance held in the Republic of China, commonly known as Taiwan, on October 25. It commemorates the end of Japanese rule over the island of Taiwan in 1945. Taiwan became a Japanese colony after the defeat of the Qing dynasty in the First Sino-Japanese War in 1894. The island was officially ceded to the Empire of Japan by the 1895 Treaty of Shimonoseki. In May 1895, the islanders proclaimed the short-lived Republic of Formosa, that was occupied by the Japanese five months later. Taiwan remained under Japanese rule for half a century. It ended when Japan was defeated in the Second World War. On October 25, 1945, Japan officially returned Taiwan to the Republic of China, the successor of the Qing dynasty. 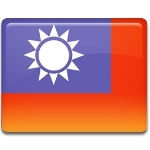 When the People's Republic of China was founded in 1949 in mainland China, the island of Taiwan remained the only territory controlled by the Republic of China. October 25 is celebrated in Taiwan as Retrocession Day. Although it is not an official public holiday, many civilian organizations and individuals still hold memorial activities on the occasion. In 2010, the 65th anniversary of retrocession was marked with small scale ceremonies organized by the Taipei City Government.